This privacy statement covers this NHS North West Leadership Academy website. It does not cover all sites that can be linked to and from this site, so you should always be aware when you are moving to another site and read the privacy statement on that site. 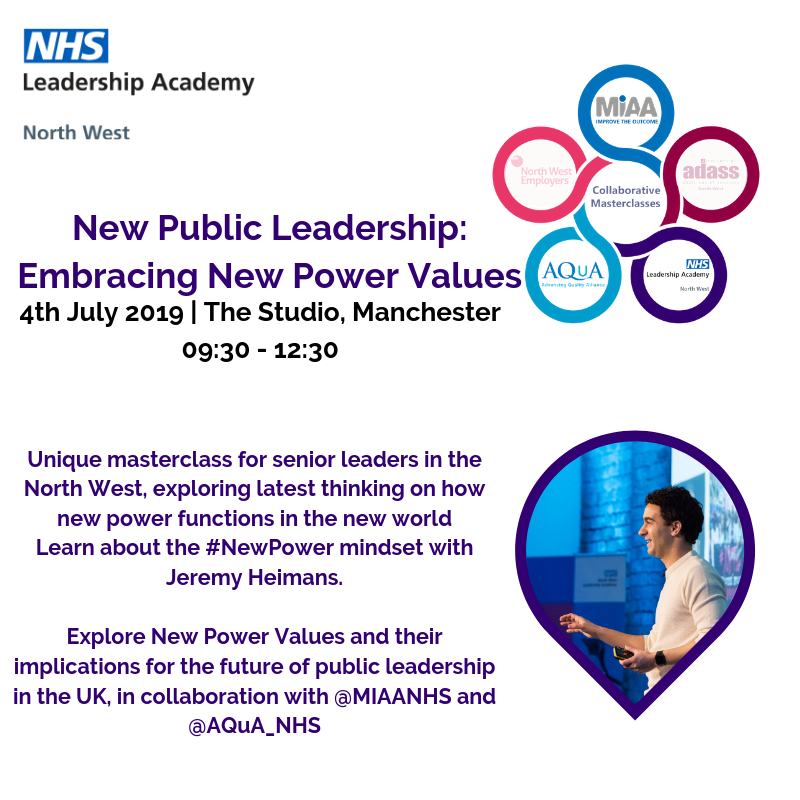 By providing the information requested you enable the NHS North West Leadership Academy and its service providers to provide you with the services you select. Any information you provide to the NHS North West Leadership Academy will only be used by us, our network of NHS Leadership Academies, your member organisation and services providers and will not be disclosed unless we are obliged to or permitted by law to do so. If you post or send offensive, inappropriate or objectionable content anywhere on the NHS North West Leadership Academy website or otherwise engage in any disruptive behaviour on the NHS North West Leadership Academy website, we may use whatever information is available to us, about you, to stop such behaviour. We will hold your personal information on our systems for as long as you use the service you have requested, and remove it in the event that the purpose has been met or when you no longer wish to continue your subscription. If you want to ask us for information which we may hold about you personally then this will be dealt with under the Subject Access Provisions of the Data Protection Act 2018 (DPA). This would include information relating to employment and training records or anything which is limited to you as a person, employee or partner of any kind. You can also email your request through to nwla.info@nhs.net. We are fully committed to the principles of transparency and openness as well as the protection of personal information and we recognise the importance of both the FOI and the Environmental Information Regulations and the relevance of both for the way in which we manage and disseminate information. Under the FOI Act there is a requirement for us to provide you with a substantive response to your request promptly and in any event within 20 working days. We also aim to acknowledge receipt of your request within two working days. Please submit your query by emailing nwla.info@nhs.net. Please note that not all of the above legal bases will apply for each type of processing activity that the NHS North West Leadership Academy may undertake. However, when processing any personal data for any particular purpose, one or more of the above legal bases will apply.